Boys & Girls Club of Morgan County and Mt. Gilead Church are announcing a new partnership to benefit the children and families of our community. Beginning August 2, Boys & Girls Club of Morgan County will be operating out of the Mt. Gilead Community Center at 31 Indianapolis Road in Mooresville, Indiana. The Mt. Gilead Community Center, formerly known as MG House, has hosted many different community functions and organizations since it opened in 2011. Mt. Gilead is excited to host the Boys & Girls Club. The Mt. 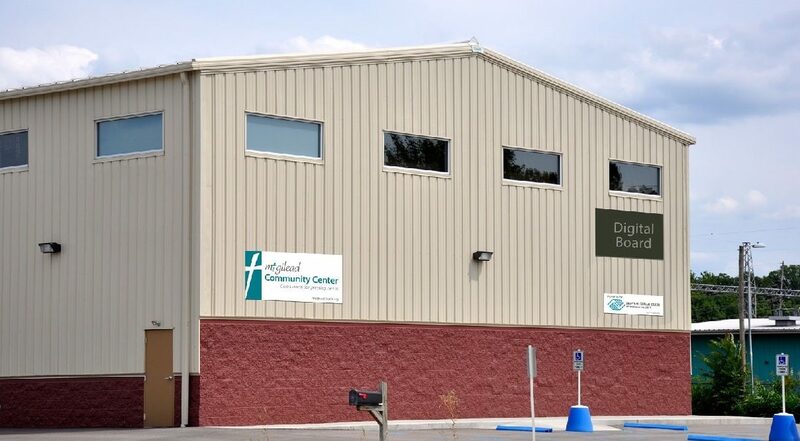 Gilead Community Center has ample square footage with a full basketball court that will accommodate their needs and give them the space to grow. The Boys & Girls Club is a guidance organization for youth ages 5 to 18 years old. Youth development professionals and volunteers mentor youth for academic success, the development of good character & citizenship, and healthful lifestyles & wellness. The Club is open most days after school until 7 pm and until 6 pm when school is not in session. Chris Tann, Executive Director of Boys & Girls Club of Morgan County believes this partnership will be the key that allows the Club to grow, reach more kids, and make greater impact in our community. The Club currently serves close to 90 youth per day during the school year and 35 youth per day during the Summer. We are grateful for Mt. Gilead Church and this partnership to serve more young people with hope and opportunity. Jen Reed, Local Outreach Minister at Mt. Gilead Church (mtgileadchurch.org) believes that a church should have a life-giving presence in the community and can’t wait to help the Club accomplish their mission. Mt. Gilead and the Club believe that connecting caring adults to students in need is critical to the healthy growth of our community. If you are interested in enrolling your children at the Boys & Girls Club, please see our Join the Club page. Those interested in volunteering can learn more on our Be a Volunteer page. We always appreciate donations and new corporate partners. Mt. Gilead’s mission is to help people become life-long disciples of Jesus. We believe that this happens when we place ourselves in environments where we can gather together; grow in our understanding of God; and go out in service to the church, our community, and the world. For more information about Mt. Gilead Church, contact BJ Bungard at 317.831.1900 or bjbungard@mgchurch.org.